Being your own boss can be stressful. You have to do everything yourself: manage your time, your advertising, your deadlines and your finances and as well as your hopes, your anxieties, your creativity and your chattering mind. If you run your own business, mindfulness is a useful skill to have. Research has shown that practising mindfulness helps us to become more aware. Greater awareness helps us make wiser choices. The science of mindfulness is a huge topic, so I’m going to focus on a few key points. Being a freelancer often involves working long hours. Some people believe that it’s important to carry on working, even when tired. They feel like heroes as they stagger about with sweaty armpits and cups of strong coffee, trying to meet that deadline when taking a break would’ve been wiser. The mindful freelancer knows that it’s more efficient to take regular breaks. You only need a few minutes of deep breathing, brisk walking, or stretching to recharge your batteries. When you come back to work, you’re refreshed and are working once more at peak performance. If you happen to be chopping logs all day, you would occasionally sharpen your axe. The mind needs sharpening in the same way. When you next find your mind going round and round like a washing machine tangling all the socks of your mind with pointless worry about the future or the past, just ask yourself a simple question. Is this situation something I have any control over? If so, then stop worrying and make a plan. Get out of bed. Put on your favourite slippers and make a cup of chamomile tea. Put your plan down on paper, but set a time limit on this so that you don’t spend all night working. Go back to bed and sleep like a kitten. If, in fact, you’re worrying about something you can’t control, then let it go. Let it go you say. How on earth do we let go of our worries? The next little chunk may be of help. Just for a moment, I’d like you to shut your eyes and think of anything but white rabbits. You must not think of white rabbits! Now open your eyes. I bet you saw lots and lots of cute little white bunnies bouncing around your inner mind, and the more you told them to go away, the more they bred. Hundreds of tiny little white cuties hopping around. It’s the same with any thought. If we tell ourselves we must not think negatively, or if we to force ourselves to have a quiet mind, we will just increase the chatter. Mindfulness teaches us how to step back from our thoughts. We learn how to choose which thoughts we would like to follow and which we would not. In other words, we develop more control and can exercise choice. Thoughts become a tool we can use rather than something that defines who we are. Thoughts are powerful and often believable. However, they are only thoughts. When you say to yourself, “I absolutely, totally must have that piece of chocolate cake”, you’re falling victim to an opinion, not a fact. You can choose not to have that cake and become a slim and healthy being. Maybe this isn’t such a good example. Chocolate cake is of course extremely important. Regular mindfulness meditation increases our ability to focus our awareness. Studies have shown that just a small amount every day increases the number of neurones in the brain relating to concentration. As Daniel Goleman says in his recent book, Focus, we can learn to increase our ability to concentrate on our inner world, the outer world (the bigger picture) and we can increase our empathy and compassion for other people and ourselves. Compassion and empathy help us relate better to the people we work with and helps to create a happy world. So, in a nutshell, even 10 minutes a day of mindfulness practice can help you become a mindful freelancer. This will, in turn, improve your creativity, your concentration, your productivity, your ability to relate well to others and will allow you to learn to respond to situations in a skilful way. Helen Ellwood is a writer, artist and occupational therapist, with training in psychotherapy and mindfulness. She is interested in the subtle dividing line between fantasy and reality, and in the fluid nature of experience. She has had three plays staged, has been a member of the scriptwriting team for two BBC funded docudramas, has had short stories broadcast by BBC Radio Derby and has been published in short story anthologies. In 2014 her memoir, Message in a Bottle was long-listed for the Mslexia Memoir Competition. She is currently working on a weird fiction romance novel, The Girl, the Boy and the Breadfruit Tree. 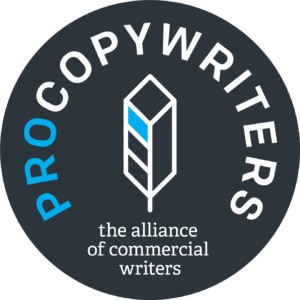 Get expert tips on what makes good writing, how to make your copywriting accessible and how to inspire your customers with your words. I’m Nici, a freelance copywriter and editor based in London. I love writing about making writing accessible, mental health issues, art careers and tips to run your business better. And I LOVE editing full-length novels. Contact me here.